The twentieth century witnessed not only the devastation of war, conflict, and injustice on a massive scale, but it also saw the emergence of social psychology as a discipline committed to addressing these and other social problems. In the 21st century, however, the promise of social psychology remains incomplete. We have witnessed the reprise of authoritarianism and the endurance of institutionalized forms of oppression such as sexism, racism, and heterosexism across the globe. 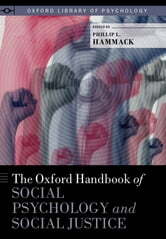 Edited by Phillip L. Hammack, The Oxford Handbook of Social Psychology and Social Justice reorients social psychology toward the study of social injustice in real-world settings. The volume's contributing authors effectively span the borders between cultures and disciplines to better highlight new and emerging critical paradigms that interrogate the very real consequences of social injustice. 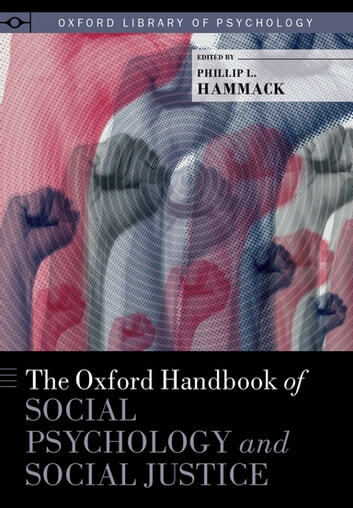 United in their belief in the possibility of liberation from oppression, with this Handbook, Hammack and his contributors offer a stirring blueprint for a new, important kind of social psychology today.